Description: Perfect for separating eyelashes before and/or after mascara applicatio.. The old ways of curling your eyelashes are gone. Using the Ella electronic eyelash curler is quic.. Description: The eyelash curler can quickly curls lashes without pinching or pulling. Use it .. Description: These 4pcs Smooth Durable Rubber Cement Eyelash Curlerare made of silicon oil la.. Description: Handy clip which makes applying fake eyelashes a breeze. Simply grip the eyela.. Description: Apply false lashes like a professional with this easy-to-use lash placement tool.. 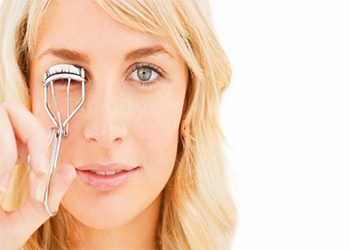 Description This is Professional Beauty Tool Built-in Heated Soften Eyelash Curler. It is hea.. Description: This is Professional Beauty Tool Built-in Heated Eyelash Curler. It is heated cu.. Description : It can touch edge lash that traditional curler can not touch. The eyelash curle.. Description: Curl and lengthen lashes with this stainless steel individual eyelash curler. Th..